The Pokemon Center and Nurse Joy have been the most consistent staple in the Pokemon Universe. Move over Pikachu, step aside Oak. This pink-haired wonder woman has been the cornerstone of every Pokemon game since its inception, and arguably the most frequently interacted with non-player character (NPC) in any of the Pokemon games. The only issue is, where does she exist in Pokemon Go. In this article, I am going to delve into my second concept for improving on the single player (and community) experience. Nurse Joy Event : Pokemon Field Hospital story arc, themed Tasks, medals, outfits and of course her ever-present partner. The event begins with a micro-story. This is a four-part story in which Nurse Joy is asking trainers for help curing a mysterious epidemic which is affecting Pokemon in the area. The cause of which is currently unknown but we need to complete four key tasks. Nurse Joy has encountered many Pokemon who have fallen ill with high fever causing dehydration. None of the regular cures have worked and she is running out of ideas with the few Pokemon she has. She needs you to bring as many Pokemon to her as possible to see how different types of Pokemon are affected. She is especially interested to see if naturally resistant Pokemon are coping. Nurse Joy is running low on supplies in order to treat the Pokemon which are coming in. She needs Potions, Berries and Ice or Water type Pokemon to assist with reducing fever. Pokemon that know the moves Heal Bell and Aromatherapy could also be very useful. Nurse Joy has called on Professor Willow to help with the research. The Professor finds it very unusual that both Poison and Steel types are affected as they are typically resistant to disease. He suspects that it isn’t so much a physical disease but a reaction to an aura or effect. If we bring Pokemon that use such abilities maybe we can find out what is causing this! The Pokemon are reacting to the Dark types we have brought to the field hospital! Through our combined efforts we have discovered the likely cause of the problem and now is time to take action. The only way to tackle this issue is head on. We know that Dark types adore certain types of food. Perhaps a special lure will draw in the culprit and we can overcome this challenge. Receive Special Object – Chople Berry Lure (Chople Berry weakens super effective Fighting type moves). The Chople Berry Lure is unique to this story arc, you cannot obtain more beyond this phase of the story. Use the Special Object to lure a 1* Tyranitar battle to your location (CP 9,816). It is important to note that no gym is required. Using the Chople Berry Lure will begin a combat encounter screen to select 6 Pokemon. Defeat the Tyranitar to start bonus encounter where it knows the exclusive move Dark Pulse. Exclusive moves should not necessarily be restricted to community days and this fits the Story. Wild Encounter : Tyranitar. Exclusive Move Dark Pulse Pokedex description: User releases a horrible aura imbued with dark thoughts. You can choose your 6 Pokemon at the start of the encounter and have the use of berries and any Pokeball available to catch it. If you are defeated in battle, Nurse Joy will heal your Pokemon and issue you a new lure. Post-battle, Nurse Joy is thrilled, that the Pokemon which has caused to many problems in the area, has departed. Before you had arrived on the scene, she had called in extra support staff which have just arrived. The support staff is so impressed with the way the situation was handled, they have elected to follow you on your journey. Joy has decided to stay in the local area to make sure that the wild Pokemon overcome their recent trauma. If we need her services again, she will setup her field hospital nearby for our use. She awards you with a new type of Module for use in Pokestops. New Item : Joy Module. For use on Pokestops. 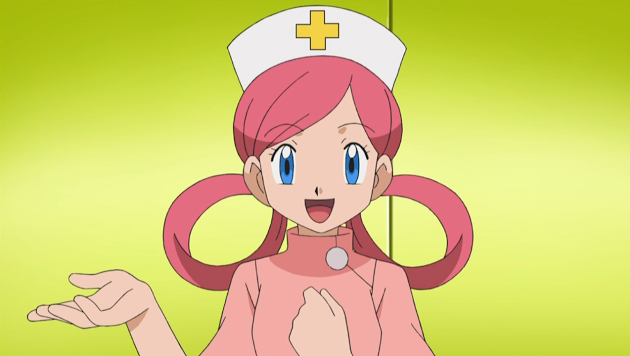 Nurse Joy sets up a field hospital and offers themed Medical Tasks (Field Research) to the community. Field Hospital will remain active for 3 hours. Only one Medical Task can be in your log at a time, but you can obtain new tasks from each successive spin when the lure is active. Therefore you are not restricted to one task, per stop, per day. The Joy Module will also allow for the healing and reviving of all injured Pokemon for all players. Visual effect will be distinctive from existing lure modules. Now, in the not too distant future, we are all hoping to see the introduction of Player vs Player (PvP) battling. Such a module would be a very valuable addition for meet ups and battles. In theory, the average player would not need to draw upon a days worth of Pokestop farming for potions and revives. How to obtain the modules after the event? These can be rewards from field research tasks, future story arcs or the store for Pokecoins in the same fashion as lure modules. Now, lets talk about the Medical Tasks. These tasks can only be released by Nurse Joy and take the space of a Field Task in your journal. They are themed around catching Pokemon types that have healing abilities, using berries to heal Pokemon in gyms or healing your own Pokemon. Rewards would be similar to current Field Tasks but these tasks could reward Fairy type encounters, Fairy type candy or even Chansey encounters and candy. 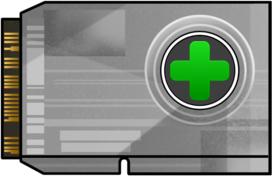 Similar to how Field Tasks have a medal, Medical Tasks will also have one. I hope you enjoyed this concept, in addition to my Gym Challenger article I aim to outline my visions for more story driven content. Here’s hoping Niantic is listening. Expanding content beyond the current story, can only enhance the game for both the solo player and the overall community. Thank you to the amazing CouplesOfGaming for the art supplied for this article.